What's the Most Consistent Surf Break in the Maldives? What’s the Most Consistent Surf Break in the Maldives? The 2016 season at Cokes was awesome. With the cooperation of the swell and the weather elements, we banked a lot of surf memories. There is absolutely no reason why 2017 will be any different. I believe that North Male Atoll in the Maldives is one of the most consistent surf magnets in the world and Cokes is the focal point of this action. From March to October, the surf is relentless and we have a proof with all the posts logged in 2016. The swell ranges from 3 ft to 8 ft and the wind is always offshore. How is that for a surfing nirvana! On my first trip to the Maldives, sixteen years ago, I was amazed that my two-week surf holiday produced the goods every day. A week on a safari boat and a week at a resort, I could not believe my luck. As it turned out after coming to the Maldives every year since my first trip, it was not luck. It is normal. 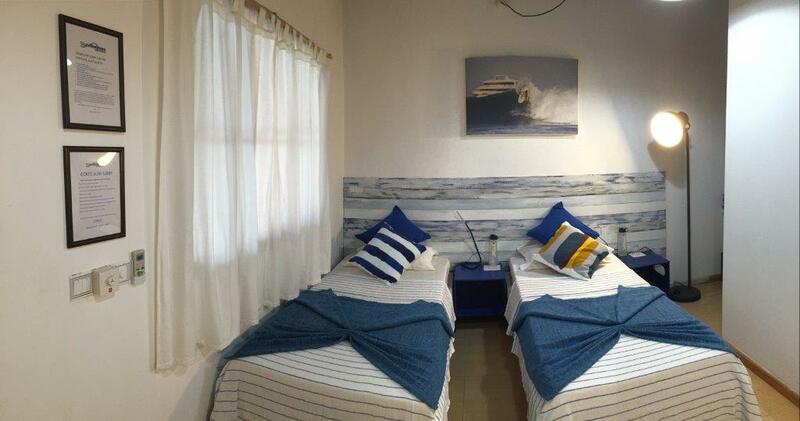 Cokes Surf Camp has come a long way since we accommodated our first guests in 2009. A lot of ups and downs dealing with operating a business in a foreign country. Now after two years on the front foot, I have a surf hotel of which I am proud. Renovations over the past two years and further upgrades in place for 2017 will make Cokes Surf Camp the place to be, with one of the best surf views in the world. From the balcony at Cokes Surf Camp you enjoy the most commanding view of the Cokes lineup, it does not get any better! Adding to the experience, you also get a clear view of Chickens break across the channel, you wont miss a wave or an opportunity to make the most of it. To further enhance the experience at Cokes Surf Camp, our Aussie Manager and head chef Troy Huggert creates excellent food for all our guests, not to mention his commanding presence in the line up. Joey James, our Aussie surf guide, adds another dimension to the camp in and out of the water, sharing his special infectious charisma. Our local guides Hisham and Shimatee add the local feel to the Cokes Surf Camp making guests feel at home, although away from home. And the main men at Cokes Surf Camp, Kaka, Sumon and Fruku, the ones who really do all the hard work are absolute legends. I think we have the vibe just right at Cokes Surf Camp. I hope you can join us in 2017 and add to the feel. The Perfect Wave are running a surfboard donation drive where we hope to collect up to 200 used boards which can be repaired and shipped to the Maldives, and then gifted to the local island communities! Click here to find out more details and the drop-off points. 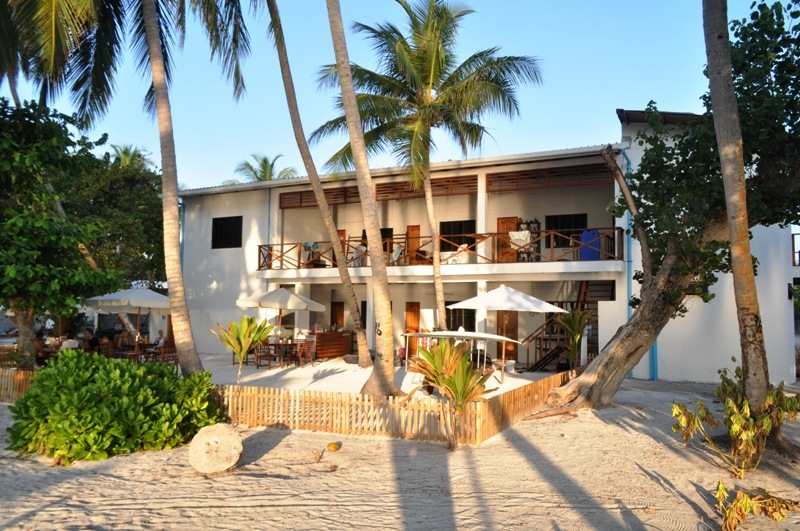 The Perfect Wave Cokes Surf Camp is in the village of Thulusdhoo in North Male Atoll, where the mighty Cokes point break offers some of the best right-handers in the Maldives. Across the channel within easy view of the hotel, an equally good left, Chickens, works its magic. 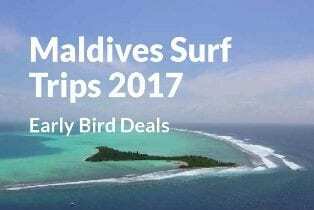 Now is the best time to lock in your 2017 Maldives surf holiday. Not only you will save, you will also ensure you get your preferred dates. We have something for everyone: exciting charter and land based options, catering for families, couples, singles or groups of friends. All above prices are quoted in AUD, are valid as of 30th January 2017 and are subject to exchange rates fluctuations. Where is the best place to improve your surfing in 2017?